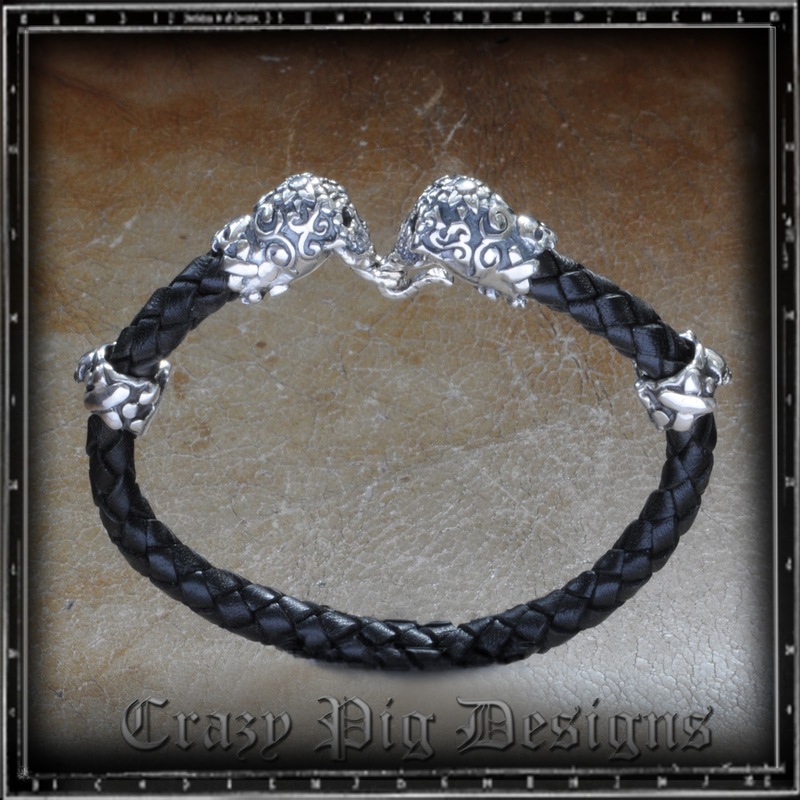 is our new Mexican skulls bracelet. 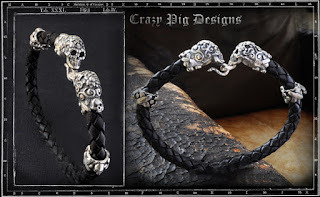 It is a smaller version of its predecessor "DOS CALAVERAS "
A perfect combination of Sterling sliver and braided black leather. Available now in store and online very shortly. 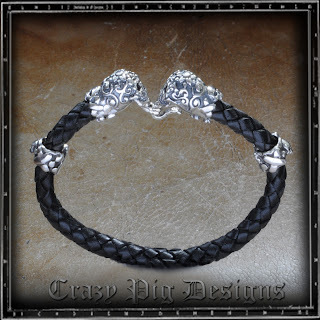 Refine your style and adorn your wrists with extensive range of bracelets and bangles.